Looking to inject drive, inspire teamwork, increase sales and sustain success within your workforce? It’s been a long year, and with an economy that’s slowly tanking, it’s up to you to find ways in which to keep your employees engaged and motivated. Every successful organisation understands that success begins with motivated and happy employees. Not only can a happy, healthy and engaged team set an organisation apart from their competition, but when you have a culture of engagement, employees work with a sense of purpose, pride and teamwork. If you’ve been tasked with choosing a team-building venue, here’s how to do it. First and foremost, before choosing a team-building venue, it’s important to define your goals. What do you want your employees to take home after a team-building day? While many organisations consider team building to be all about taking the day off to indulge in a fabulous lunch, share a few drinks, and perhaps even indulge in a massage or two, there are many businesses that see team building in a totally different light. Team building is all about sending your employees to a team-building venue where they can let their hair down and enjoy a day of fun social activities that are designed to create synergy within the team. Organisations are much more likely to perform well when their employees understand each other’s strengths, weaknesses and interests. Not only does this boost morale and improve communication, but it also allows employees to address any interpersonal problems within the team. Once you’ve defined your team-building goals, the next step would be to establish the location. While many organisations prefer to host their team-building events in the middle of the city, it is worth mentioning that location is the key to the success of any team-building event. Not only can the location have an enormous impact on your budget, but it can easily make or break your team-building goals. Should you choose a location out the city in the open fresh air, you will have to provide transport to and from the event to ensure that all employees are able to attend. A powerful practice that encourages team morale, develops communication, diminishes conflict, and identifies strengths and weaknesses, a successful team-building event will depend on the kind of team-building activity that you choose for the team to participate in. Make sure you choose a team-building venue that can offer you a team-building activity that will leave your employees feeling like they not only accomplished something, but that they also had a brilliant day out the office. 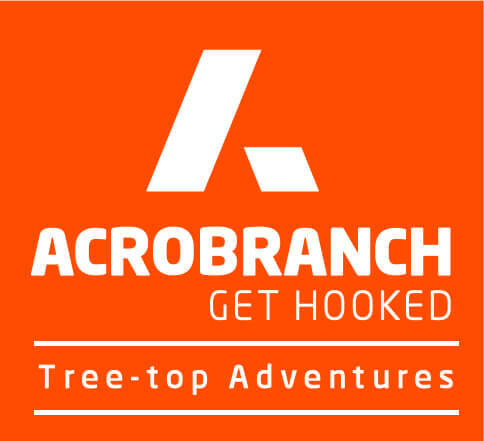 Ever Heard of Acrobranch Tree Canopy Tours? A world-class ziplining adventure that lets you ride through the air, Acrobranch is currently the fastest growing team-building activity that is nationally celebrated for offering employees a chance to bond, learn, laugh, and have loads of fun. Situated in seven locations throughout South Africa, contact us today to learn about our team-building packages and to make your booking for 2018.